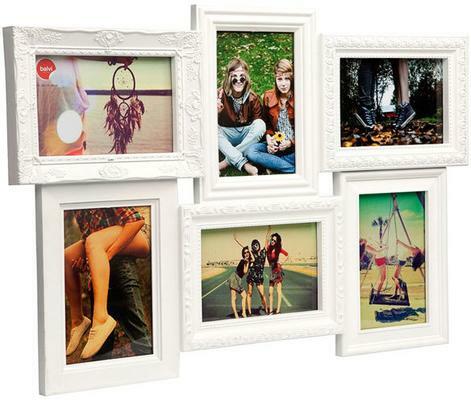 Dazzle your guests and share your precious memories with the Magic 6 Multi Photo Frame in White. Gorgeous crafted from a combination of plastic and glass, it's a great way to capture your special memories. It holds up to 6 images. Add photos of your friends, family members, pets, even your most favourite landscape shots! It's really up to you. If you want, you can also buy this picture frame as a present to a friend or relative. It's quite a keeper.